This attack is only used if your enemy has a water-type. Do 250 damage to each enemy pokemon for 5 turns. Do 200damage to opposing pokemon and 100 damage to each pokemon on the bench. 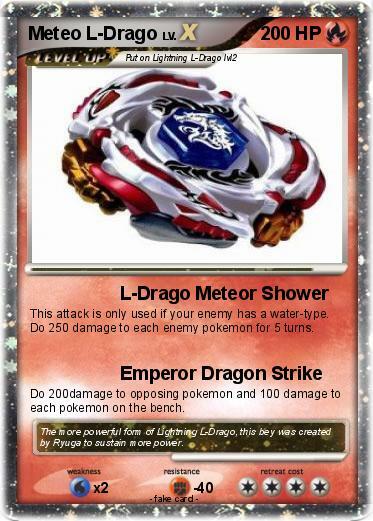 Comments : The more powerful form of Lightning L-Drago, this bey was created by Ryuga to sustain more power.